Chapters bookshop on Parnell Street, Dublin 1, have organised a signing event on Friday 28 March with three of the authors who will be attending this year’s P-CON SF Convention, which takes place that weekend in the Central Hotel in Exchequer Street, Dublin 2. 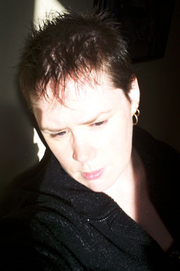 Cate Dermody is a LibraryThing Author, an author who lists their personal library on LibraryThing. Cate Dermody's book Wayfinder was available from LibraryThing Early Reviewers. Cate Dermody's book Heart of Stone was available from LibraryThing Early Reviewers. Cate Dermody is currently considered a "single author." If one or more works are by a distinct, homonymous authors, go ahead and split the author. C. E. Murphy is composed of 4 names. You can examine and separate out names.